August in Texas means mornings so humid and warm that its nearly unpleasant to go for a walk or run, scorching hot summer afternoons leaving your backyard looking like a dessert, back-to-school shopping, and last-minute vacations for those escpaing the heat and enjoying their last getaway before school starts. For those of you who know Pam, she is more at home at a spa rather than a tent, but she was only 12 years old and he was her beloved father. When they arrived at the campgrounds, they overheard the campers next to them talking about having “2 x 4” for dinner. 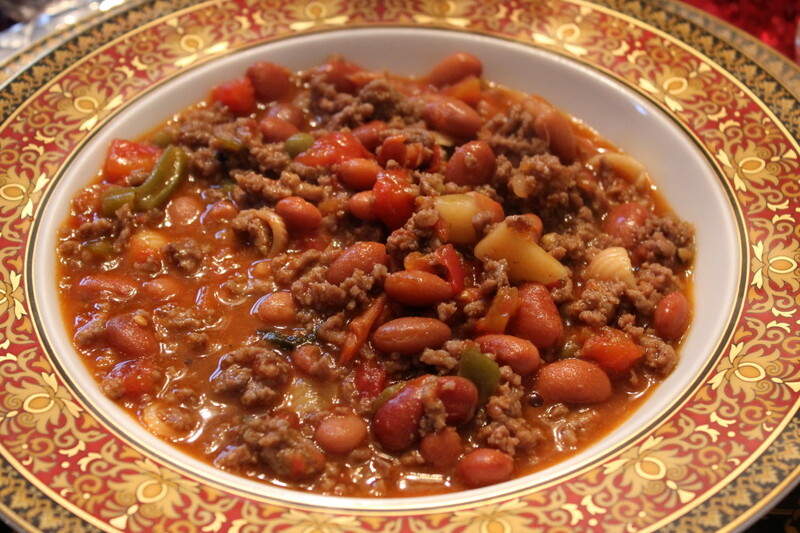 Curious as they were, they asked for the recipe, which consisted of 2 pounds of beef, 2 cans of Rotel, 2 cans of minestrone soup, and 2 cans of Ranch Style Beans; hence the name “2 x 4”. 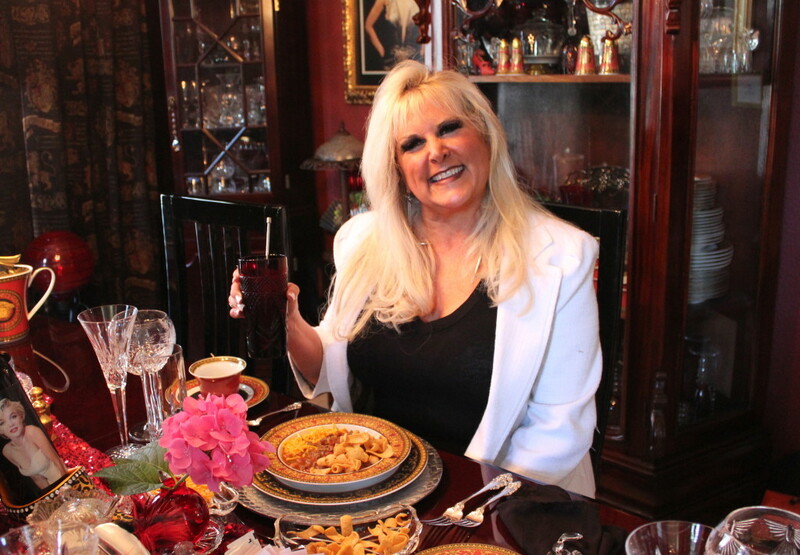 Who knew that this road trip would teach Pam an extremely quick recipe to share with her carnivorous friends and neighbors! 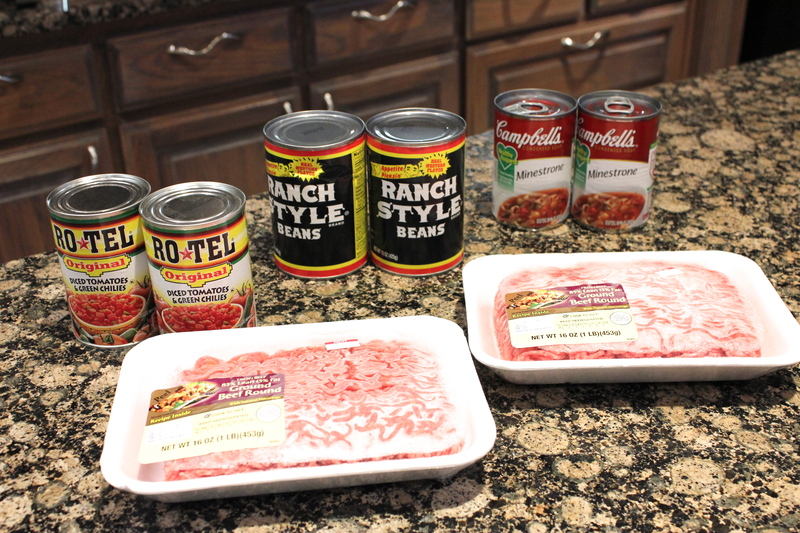 All you need are 2 cans Rotel, 2 cans Ranch Style beans, 2 cans minestrone soup and 2 pounds of beef. 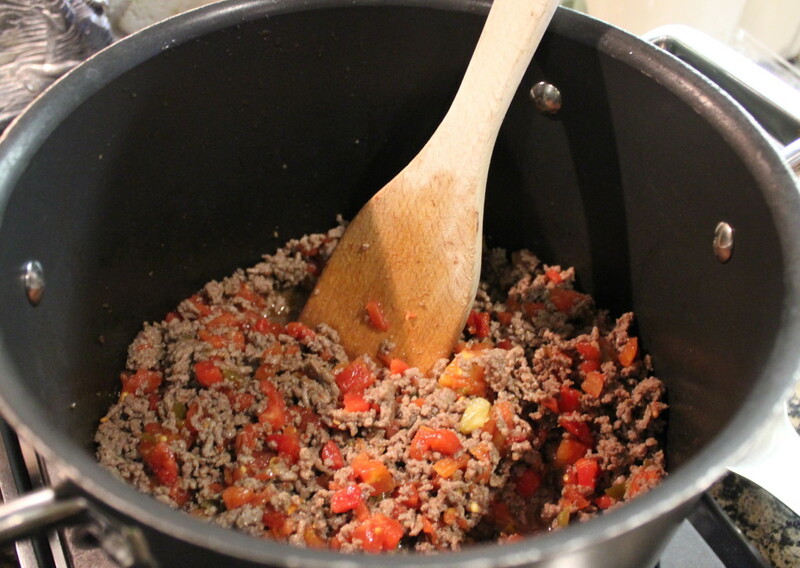 Once the beef is browned, add the rest of the ingredients. 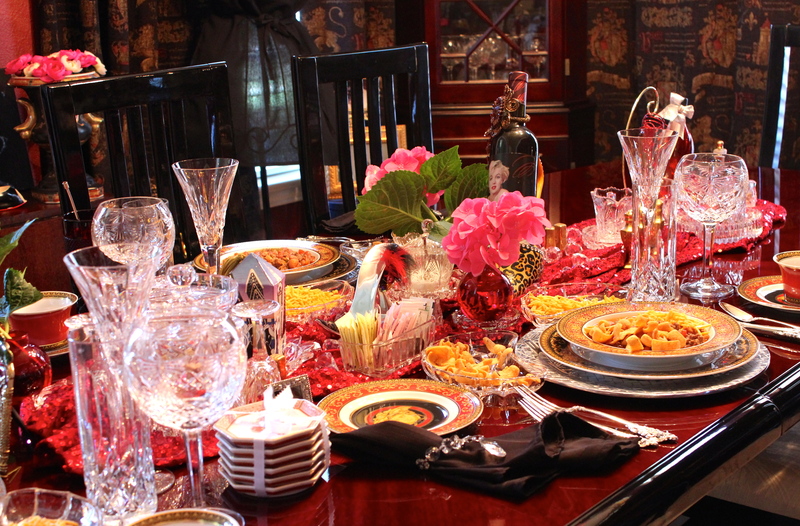 Combine ingredients, cover and simmer for 15 minutes. 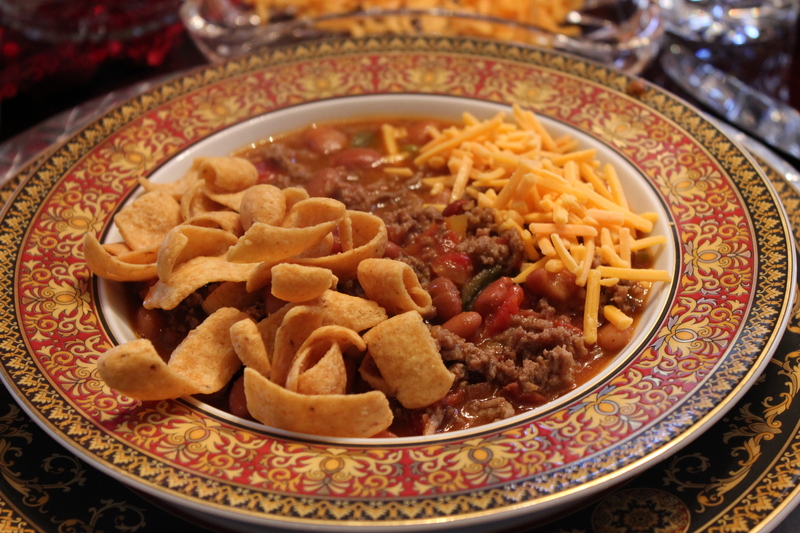 While this recipe originates on the campgrounds, you don’t have to go camping to enjoy this delicious chili. 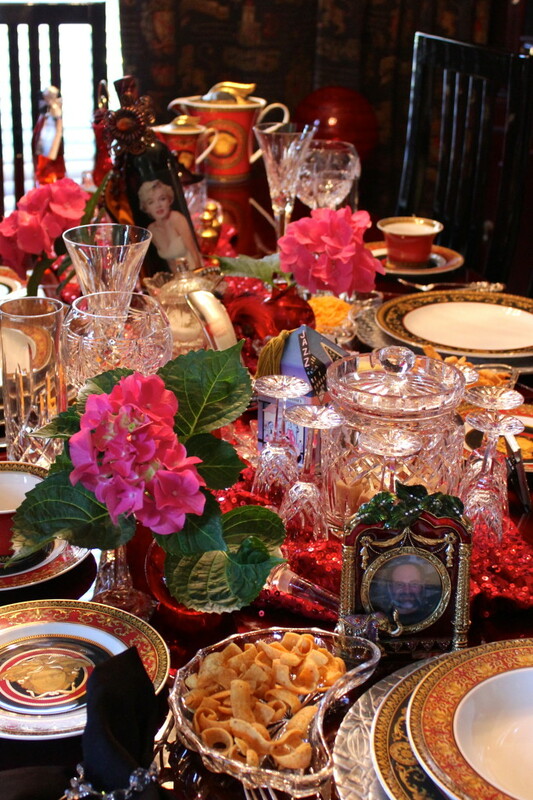 Pam and her husband have “2 x 4” for dinner at least 2-3 times per month, and even enjoy it served with their elegant Gianni Versace Medusa China, Waterford crystal and Grand Baroque sterling! Top with Fritos and shredded cheddar cheese. Brown beef in a large sauce pan over medium-high heat and cook until crumbly and brown. 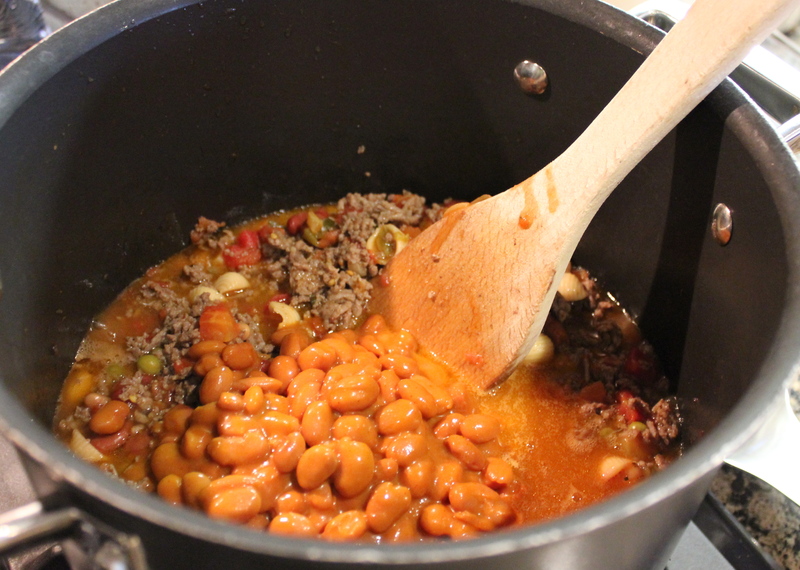 Add Rotel, minestrone and Ranch Style Beans, and stir. 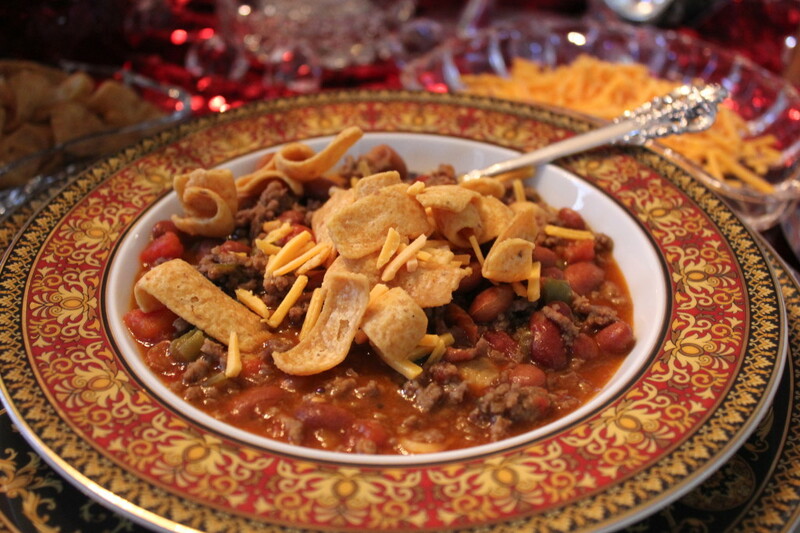 Serve with Fritos and shredded sharp cheddar cheese.